Unexpected signs of Gluten Sensitivity. 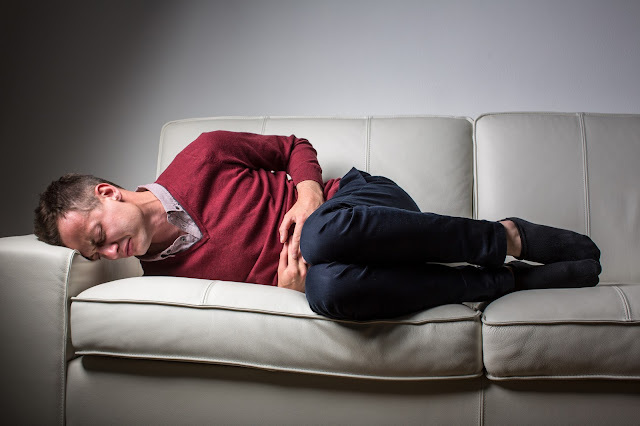 Feeling some gastrointestinal discomfort after a meal? Does your brain feels like it is moving through sludge? These are classical symptoms of gluten sensitivity (GS), and you might be wondering if you're gluten intolerant. There are many symptoms of gluten sensitivity, sometimes called known as non-celiac gluten sensitivity or gluten intolerance. This article will shed light on eight lesser known symptoms of GS that were published in U.S. News. If you have done a bit of research already, it is likely that you know gluten is a protein found in wheat, barley and rye. It is often added to processed foods as it helps to bind the ingredients together. This means unexpected foods, such as potato chips or candy bars may contain gluten. For those with celiacs disease, gluten is extremely harmful to the body. For those with mild forms of GS, it can cause slight discomfort. An individual's reaction to gluten lies on a spectrum from mild to severe. For some, times of increased stress will intensify their bodies negative reaction to gluten. If you have a single symptom of GS, is is probable that the reaction is caused by something other than gluten, but not definitively. Multiple symptoms is highly suggestive that gluten is the cause of your discomfort. 1. Gastrointestinal effects. Symptoms of Irritable bowel syndrome and gluten sensitivity often overlap, despite being different health concerns.. These include bloating, diarrhea, and constipation. 2. Poor absorption of nutritions. The stomach lining of individuals with GS can become compromised. The stomach can become unable to adequately absorb vitamins and minerals. This is why low iron is a commonly the result of of GS. 3. Migraines. Like gastrointestinal effects, headaches can be caused by multiple things. If you receive migraine with other GS symptoms and/or an hour or two after ingesting gluten, this may suggest you have gluten sensitivity. 4. Joint pain. Inflammation can occur when body is unable to digest gluten properly. Inflammation will often cause joint pain. Joint pain is a common symptom of gluten intolerance and is frequently misdiagnosed as rheumatoid arthritis. 5. Lactose intolerance. GS can compromise the lining of the stomach. This results in the malabsorption of nutrients, as well as the stomachs inability to properly digest lactose. 6. Chronic fatigue. If the body is unable to absorb essential nutrients, it will quickly become exhausted. This symptom on its own is not a clear sign of GS, but when paired with gastrointestinal difficulties such as diarrhea, it makes a stronger cause for GS. 8. Fibromyalgia. Fibromyalgia is believed by some medical experts to be a symptomatic of another condition, not a disease in itself. “Inflammation of the connective tissue is one of the strongest symptoms of a gluten intolerance,” according to U.S. News. Gluten is believed by the body to be harmful, and will dispatch antibodies to eliminate them. Those same antibodies destroy the lining of stomach and intestines. This can cause inflammation in any part of the body. Eliminating gluten may reduce inflammation and the symptoms of Fibromyalgia. We are what we eat. It makes perfect sense that the food we consume will have a major effect on our health and well-being. If you want what is best for your body or to eliminate gluten from your diet, check out Kay’s Naturals. We make some of the world’s healthiest snacks: gluten-free, high-protein, fiber rich, and low sugar! We are transforming the way we snack one marvoulous protein chip at a time.